The Cluj Court ruled yesterday in favor of the request by the Mining Watch Romania network to suspend the legal effects of the building permission for the mining site at Certej, relating to the mine’s tailing ponds. The building permission was issued in February 2015 by the Certeju de Sus municipality. This was the second attempt by Deva Gold to initiate the bulding works on the mining site. In 2014, the Certeju de Sus City Hall has issued to the company the first building permit, for the entire mining project. That building permit, which turned out to have been issued illegally, was challenged by the Hunedoara County Prefect, and was suspended in court. The building permit relating to the mine’s tailing ponds was issued one month after the previous one. 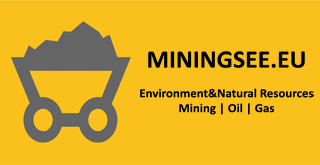 The Certej mining project is proposed by Eldorado Gold (ELD), a Canadian gold mining company that intends to open the first surface mine and to mine using cianide. The deposit is owned by Deva Gold SA, a joint venture between Eldorado Gold, (80 percent) and state company Mininvest Deva (20 percent). The project involves the placing of tailing ponds, featuring rockfill dams that stand as tall as 169 meters and, respectively, 70 meters that are projected to be placed nearby Hondol, Bocsa Mica and Certej villages. According to a press statement by Minig Watch Romania, the decision to suspend the building permit takes effect from the moment it is published. Should Deva Gold challenge the decision, that would not suspend its effects. The building permit allowing Deva Gold to build tailing ponds at the mining site does no longer have any legal effects. The Certej mining project is opposed by Mining Watch Romania and other citizen groups, which warn that the use of cianide and the building of tailing ponds in the vicinity of villages can pose a threat to the environment as well as, in case of accidents, to human life. They accuse local authorities of overlooking faults in the planning and design of the mining projects proposed in Transylvania.“The local authorities are continuously trying tocover major design flaws of the large mining projects proposed in Transylvania. Every day, even more irregularities are being uncovered, that should come to the attention of the investigation and prosecution authorities. We will continue to monitor decisions issued by autorities for the use of mining companies,” Oana Catalina Poenaru said in a press release. The footpring of the project initiated by Eldorado Gold via its subsidiary Deva Gold has a footprint of 456.2 hectares. The land is currently covered by forests, meadows, land used for agriculture, and residential areas. The mining project involves the cutting of 187 hectares of forest and the building of two open pits and two ponds.